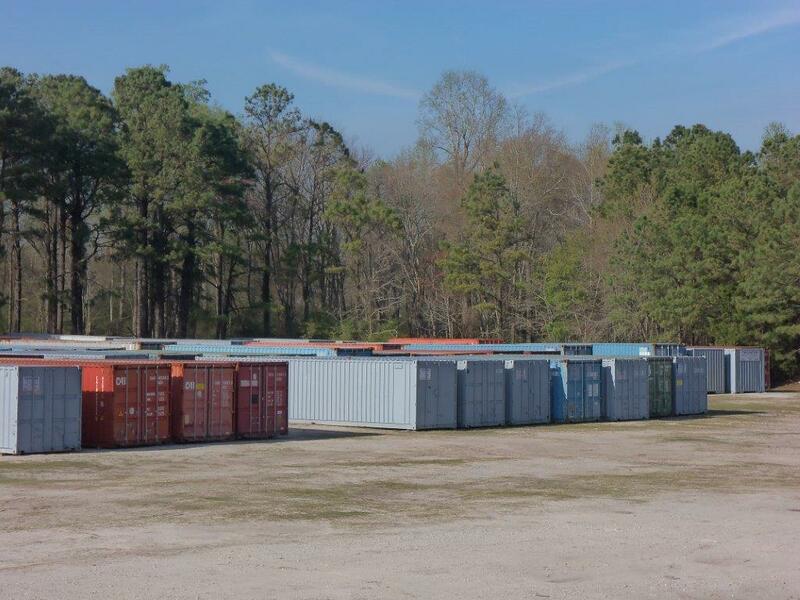 Our inventory consists of 20′ and 40′ ground level storage containers. Standard 20′ and 40′ ground level containers are both 8′ wide and 8.5′ tall. 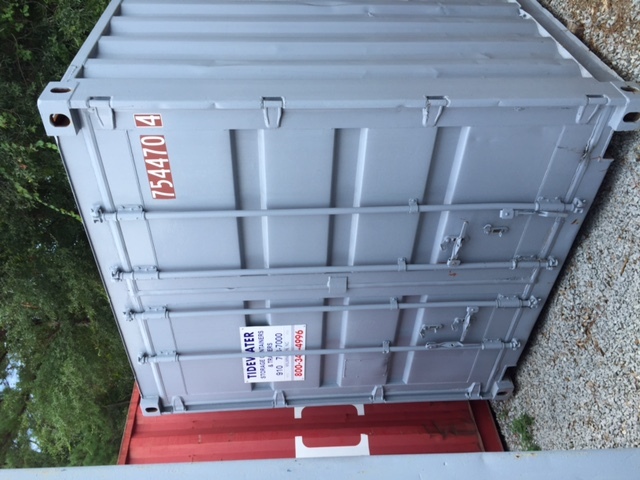 In addition, we carry 40′ hi-cube containers that are 9.5′ tall. 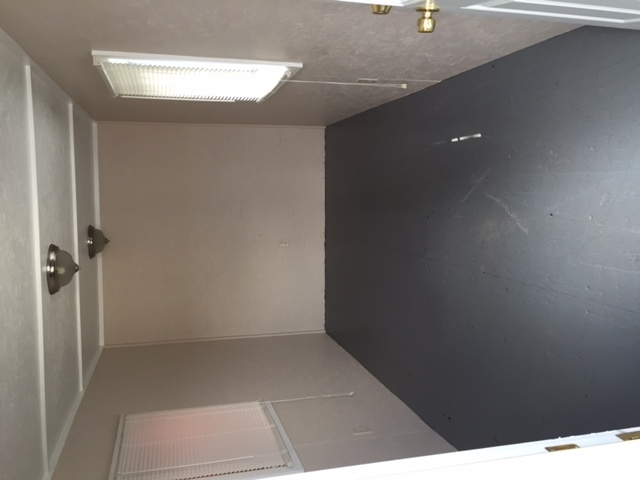 We also have 40′ ground level office/storage combination units. 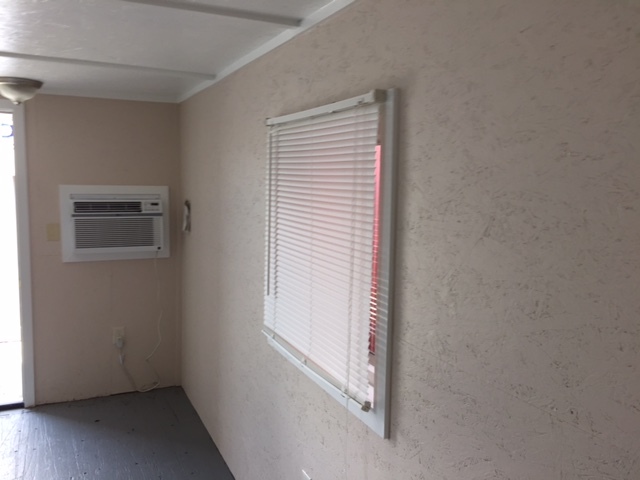 Our office/storage combination units feature 16′ of office space with a separate side entrance and a window A/C unit as well as a small window or a site glass window. 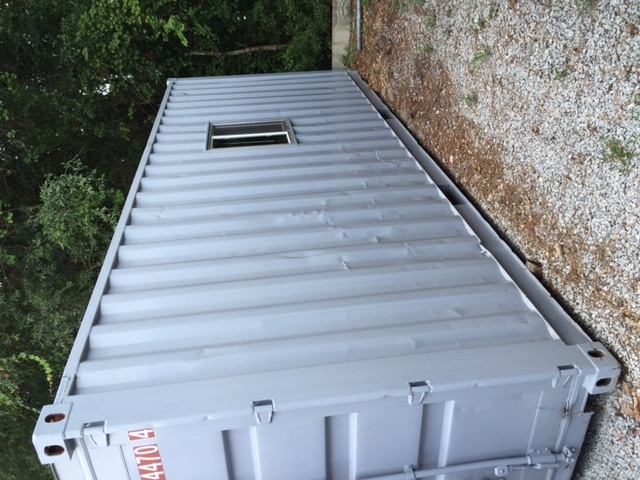 The storage portion is 24′ long and has the standard double barn doors on the end. 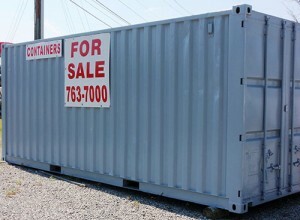 20’ office units are available in limited quantities. 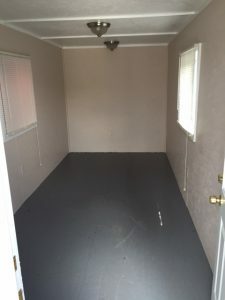 They feature approximately 17’ off office space and a 3’ porch/storage area. Double barn doors open to the porch/storage area then there is a separate man size door to enter the office portion. 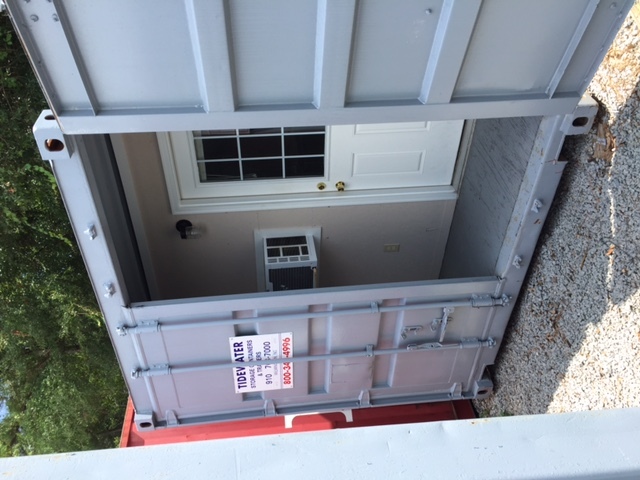 Containers are wind and water tight and rodent proof. They are beneficial means for temporary or long-term storage at your location. 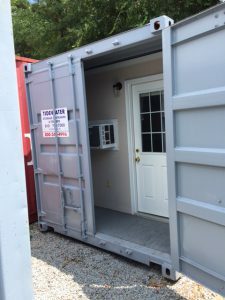 Containers provide a durable, lockable and portable options to meet your storage needs. Ground level access also allows for pallet jack or forklift usage inside the units. 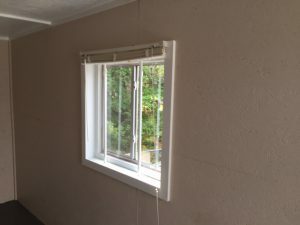 Perfect for trades and subcontractors including but not limited to drywall installers, electricians, HVAC, plumbers, roofers, window and door installers, masons, etc. High security lock boxes are also available upon request. 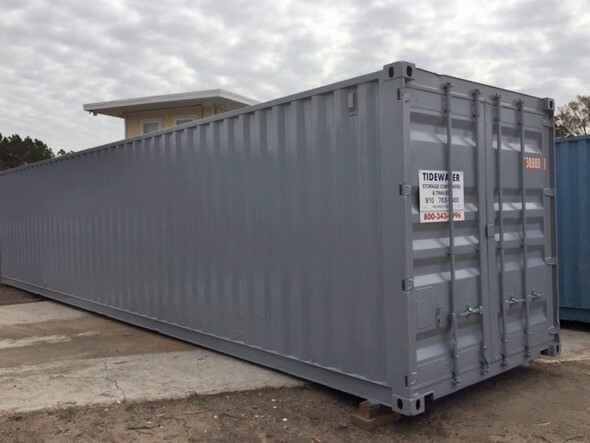 We recommend, especially in residential situations, to place the container up on wood blocks made from something like 6”x6”, timbers, railroad ties or the like. 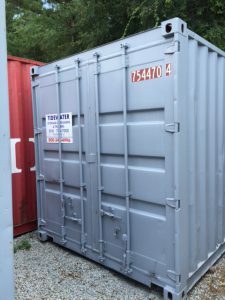 We help place these as the container is dropped. 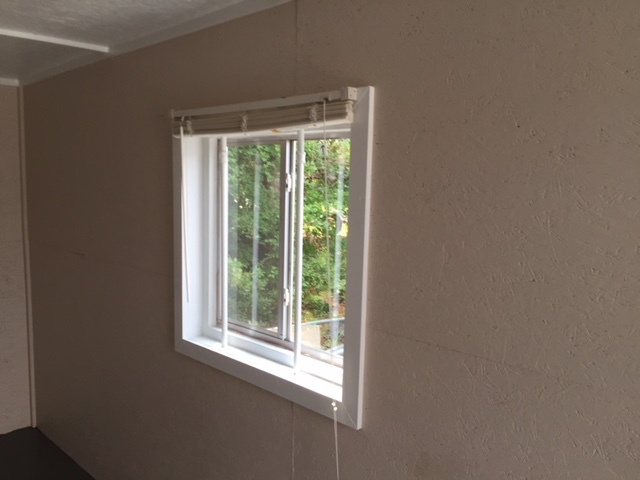 This allows for airflow underneath the container which will help prevent condensation issues. Please note, all photos are representative of our inventory and specialty items that we have access to. We have inventory coming and going every day. If a listing is for a specific unit, it will be notated. 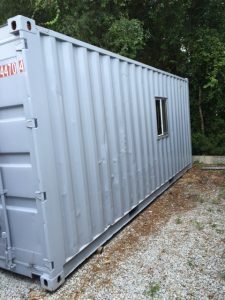 20′ office container, one double barn door open. 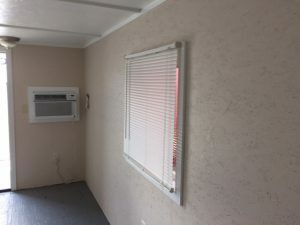 Shows porch/storage area.